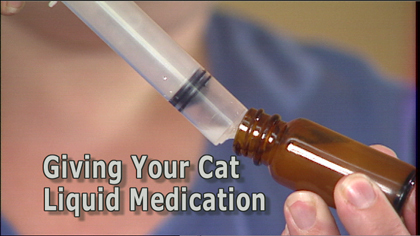 Narrated, step-by-step instructions show you how to administer liquid medications to your cat. Running time approximately 2 minutes. ©2006 We recommend consulting with your veterinarian who is the best source regarding animal health issues in general, information about your specific situation, and possible new developments since the copyright of this material. Please report problems with this page to the webmaster.